The recent snowfall, laden with moisture, has made avalanche danger considerable and it may be that way until February. Rick Brough has more. 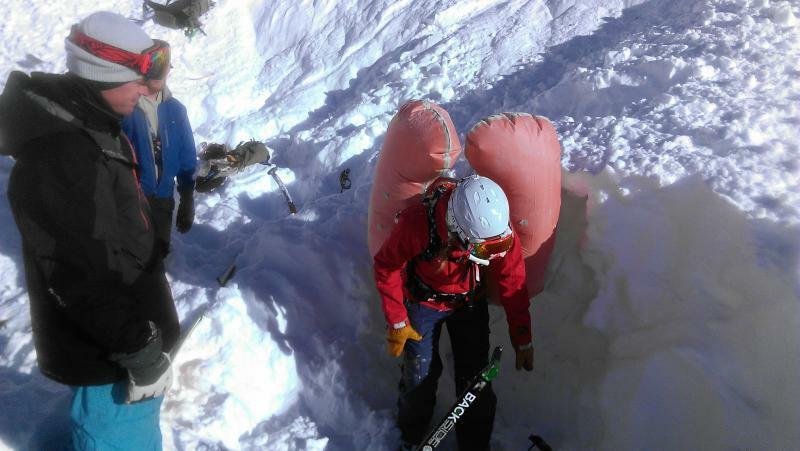 A backcountry skier dragged into a ravine by an avalanche Monday was saved by a special air bag she deployed in a bid to stay afloat. KPCW's Leslie Thatcher has more. 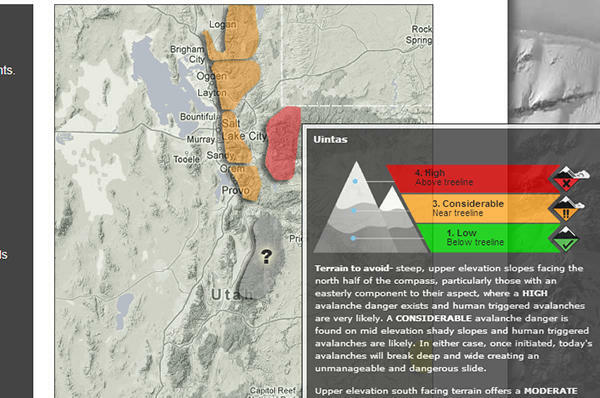 The Utah Avalanche Center, in its first report of the season, warns citizens of the the perfect storm of avalanche danger, taking place in the early season due to the first significant snowfall blankets the Wasatch Mountains. KPCW's Lynn Ware Peek has more.